Vaping is more than a fad. It may be growing in popularity, but passionate vaping fans care about more than keeping up with the latest trends. Along with helping cigarette smokers kick their addiction, there are countless benefits to vaping that are undersold by modern media outlets. Those benefits range from reducing anxiety to weight loss, treatment of chronic illnesses, and negotiating with an out-of-control a sweet tooth. The best info on vaping can be found on platforms like youtube and websites like Vaping360.com. Learning about vaping is a comprehensive process with many things to consider like utility, convenience, and the added health benefits of various mods, juices, and accessories. To effectively enjoy your vaping experience, you need to establish a solid foundation. With careful investment, and attention to detail, the following guide will make things much clearer when it comes to beginner vaping. You should consider giving up cigarettes before you heavily invest in vaping. The reason for this is simple. By doing both, you risk overdosing on nicotine and the resulting side effects are not pretty, to say the least. You may experience dizziness spells, nausea, or vomiting. The first rule of vaping is that you must pay closer attention to your health and the environmental impact of habitual smoking. Vaping indirectly helps you to become aware of habitual patterns. Vapes are generally larger and more complicated than cigarettes. Many have coils, batteries, and accessories that require specific storage. They also have to be cleaned and recharged, unlike cigarettes. As most vapes are battery powered, you’ll become a little more cautious, or at least aware, of when and how you’re using your vape and accessories. Thus, vaping and smoking cigarettes aren’t mutually exclusive. You can do both, however, you’ll find smoking highly carcinogenic cigarettes less attractive over time. It’s best to trade in cigarettes for a nice vape paired with a nicotine e-juice. This will allow you to enjoy vaping just as much as smoking, without sacrificing health. Different factors go into calculating how much nicotine your body needs. Depending how heavy a smoker you were is usually a reliable setpoint in beginner vaping. If you never smoked cigarettes, consider 0 mg e-juices or tobacco/menthol flavored juices without nicotine content. There are about 5 different nicotine e-juice varieties that range from 3 mg to 24 mg of nicotine. There are options outside that range packing zero to much higher levels of nicotine, but 24 mg is at the high end as most cigarettes contain around 12 mg of nicotine. If you’re a pack-a-day caliber smoker, 18 mg is an ideal starting point when selecting an e-juice. It is advisable to start with the lowest dose you can manage, and work your way upwards after seeing how your body responds. According to CBDvapepenguide.com the purity, strength, and price of vape mods and juices can vary quite a bit. Due to this variation, vaping is very different from smoking. The feeling of drawing in vape juice is harsher with vaping than smoking a cigarette. Beginners are recommended to employ the mouth-to-lung method. 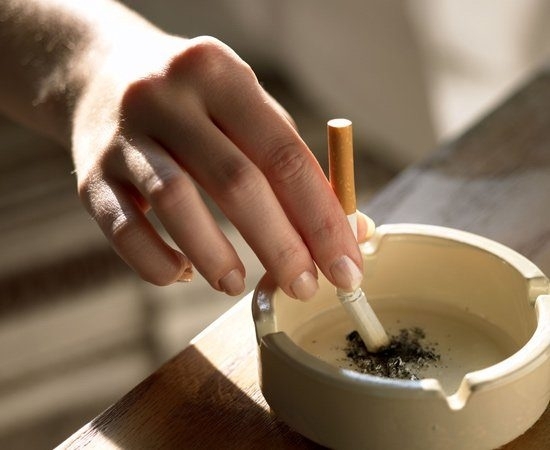 Cigarettes are usually smoked mouth-to-lung, so if you are accustomed to this technique it’s especially useful while trying to quit. Generally, the sensation of smoking is more subtle than direct lung hits from vaping. The nicotine in vapor strengthens the longer the vapor sits in your mouth. As the flavor intensifies, it can cause the user to cough. You’ll know the right nicotine level for you when you start experiencing the aforementioned symptoms. You’re headed in the right direction if you go through a trial-and-error process when discovering your nicotine limits. Furthermore, chain-vaping can be easier than smoking. This means that the leisurely intake of vapor reduces the throat hit within a few minutes. An e-cigarette or cigalike is an electronic cigarette made to look like a tobacco cigarette. Determining the e-cigarette that’s best for you largely depends on preference. If discreteness is a priority, go for a “cigalike” i.e. a cigarette-esque type of electronic cigarette where the fixed end contains the e-liquid. You’ll have to get a new one once you run out of juice, as e-cigarettes are not reusable. They can become quite expensive in the long run as a single unit costs around $10. Vape pens are the most popular module on this list. They’re more expensive than e-cigarettes in the short run, but cheaper in the long run as they can be filled with e-juice and recharged. If you don’t mind giving up some discreteness, then you’ll find vape pens an excellent alternative to cigarettes. Offering virtually the same health benefits, vape pens are also 95% safer than smoking according to Public Health England. Vape pens also carry more e-juice than e-cigarettes, and offer varying flavor potentials. A single vape juice can taste different depending on the device used. Mods give you the unlimited ability to customize your vaping experience. With vape pens, you're stuck with the model purchased from the manufacturer and would have to purchase a new vape pen for an alternative vaping experience. If you want more power, you’re out of luck. Vape pens are known to die when chain-vaping. Box mods, on the other hand, use bigger batteries that will give you much more power than the standard vape pen battery. You also may have to choose between rebuildable atomizers, or RTA and RDA devices. According to Vaping.com, RBAs are primarily used by those who want to calibrate their vape to a specific power preference at a low cost. Before prebuilt coils were widely available, RBAs were the sole method for a high-performance vaping experience. With rebuildables, you’ll literally "build" your own coil. This means that you’ll physically wrap the coil, and attach it to the system - also adding a wick. Some parts of your box mod will come pre-built, while other parts will have to be built from scratch. As mentioned, Box Mods are customizable and the level of customizability will depend on the RBA type and the user’s desired vaping experience. If the above two options seem like child’s play to you, and you’d like something with a lot more smoke, go for a box mod. A mod is highly customizable and comes with a battery that can be swapped out. These added benefits will require you to dig deeper into your pocket, but vaping habitually is still much cheaper than smoking. Mechanical mods are not for beginners. If you’re new to vaping, a vape pen or box mod would be a better choice. Once you’ve been vaping for a while, these are the better option. Mechanical mods afford the ultimate customization and the vapor isn’t electronically controlled. Because of this, they’re far more dangerous and require a degree of mechanical knowledge. A background in basic electronics and vaping is recommended before you try out one of these pocket-sized powerhouses. When purchasing your first vape, it’s prudent to explore the first two basic options. Vape shops sell devices without warranty, and oftentimes, without instruction. You’ll generally receive little to no advice from the manufacturer on more customizable selections - or anything about vaping for that matter. It’s best to do your research at home as the FDA has their hands tied when it comes to vaping. Generally, if you’re transitioning away from cigarettes you’re in good hands. As you become advanced in vaping, you’ll gradually move through the 4 phases mentioned above making for a holistic and entertaining experience.